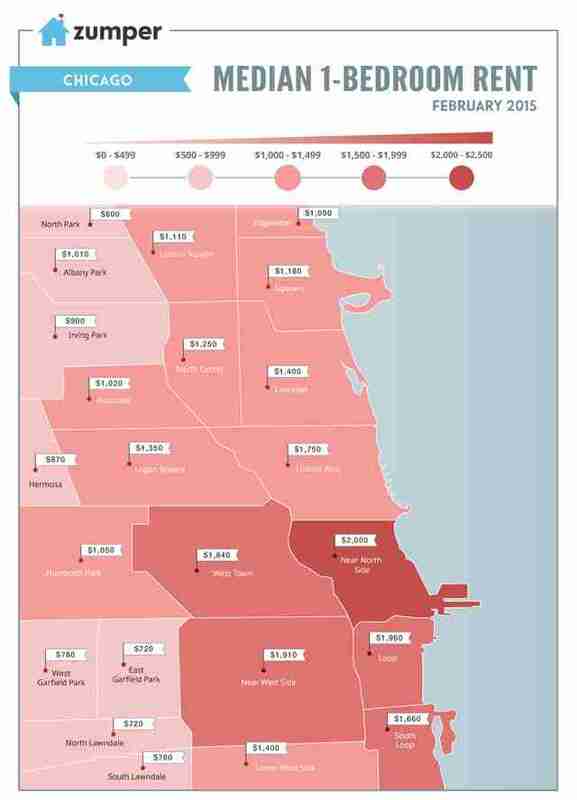 While the rent in Chicago isn't astronomically high like it is in SF or NYC, a new map from real estate listings site Zumper shows that our rent is still too damn high in many neighborhoods. 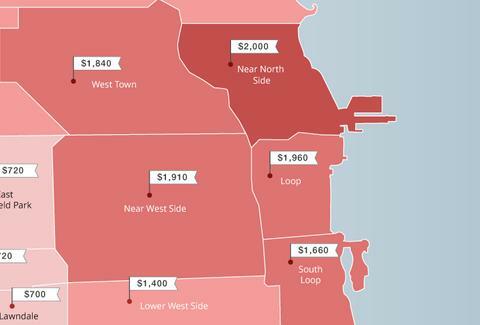 The map breaks down the median rent in February for one-bedroom apartments in Chicago, and basically, you might want to revise your drinking budget. The Near North Side including River North, Streeterville and Gold Coast topped the site's charts for most expensive median rent at $2,000 per month (because everyone there lives in opulent steakhouses). Neighborhoods like the Loop, the Near West Side, West Town, and the Lincoln Park filled out the remainder of the Top 5, with rents of $1,660 to $1,910. North Side neighborhoods like Lakeview, Uptown, Lincoln Square and Edgewater had more livable rates while rentals toward the southwest went for considerably less. Tony Merevick is Cities News Editor at Thrillist, and is based in New York City, where the rent is even higher. He's lived in Chicago (the South Loop and Rogers Park), and enjoyed a whole lot more apartment for a lot less money. Follow him on Twitter @tonymerevick.